Leila Kohute, OTR/L has been an Occupational Therapist at Bacharach for 11 years. She spends half of her work day in acute rehab treating patients with neurological injuries, including spinal cord, brain injury and stroke survivors. The other half of her day she works in the outpatient department with patients in the neuro day rehab program, as well as post-concussion and spinal cord injury patients. 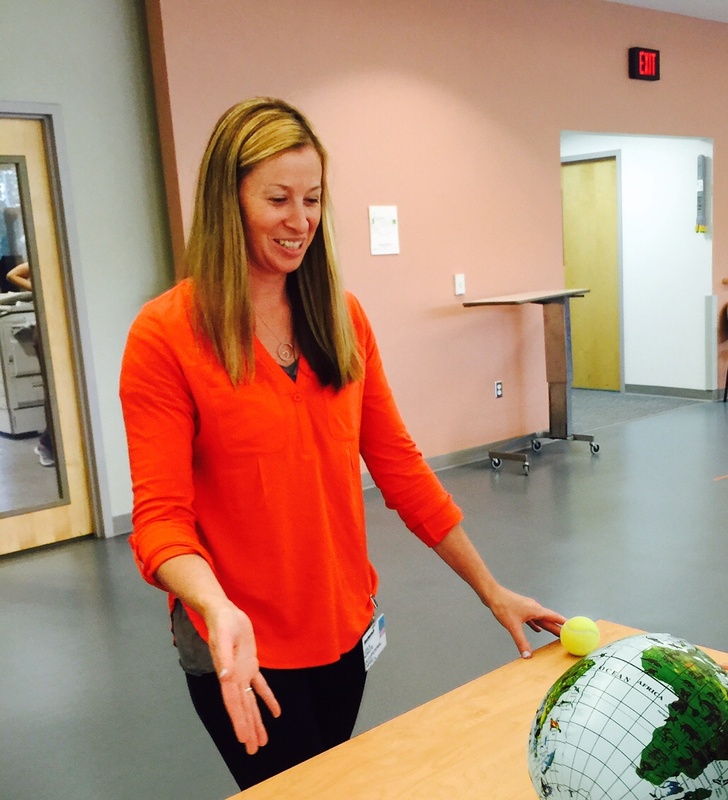 “A career in occupational therapy (OT) is very fulfilling. I enjoy being able to connect with so many different people on a daily basis and I am blessed that I can help make a difference in their life as they go through so many challenges,” Leila shared. She explained her role at Bacharach, “Our Occupational Therapy program includes many different treatment interventions, with one goal in mind; restoring independence in activities of daily living and improving quality of life. OT is so much more than just teaching dressing skills. We help patients with so many daily day-to-day activities that we tend to take for granted, including resuming roles that they have lost in their life due to injury. We are concerned with every aspect of their cognitive, physical and social well-being. We also complete home evaluations and participate in community re-integration. ” In addition, Leila serves as a strong advocate for her patients, is a representative from her department in the brain injury and spinal cord programs, and is consistently growing as a professional by participating in continuing education. Leila received her Master of Science degree in occupational therapy and a bachelor’s degree in psychology from Stockton University. She has two little girls, ages 2 and 5, and when she isn’t working she loves spending time with her family – going to the beach, playing in the pool and, when she can find the time in her busy schedule, golfing with her husband.